2004 was an era of dormancy for Ryan Adams. Recovering from the fractured wrist sustained during a stage fall in early 2004, Adams went off the radar for a while. In those archaic times devoid of Facebook status and twitter updates, fans were left to wonder: Where is Ryan? For months and months, fans didn't hear a peep from the usually over-communicative songsmith. Finally, a tour sprung up in late summer/fall of 2004, featuring his new band, "The Cardinals". A few months after the tour, fans received a curious e-mail from Lost Highway Records. It linked to a flash page that displayed a trio of messages, announcing each of Ryan's three upcoming 2005 releases. First on the list: Cold Roses. In my introduction to this feature, I mentioned that the initial reaction to lengthy track lists and double albums is usually "Awesome! 22 songs! ", which is soon followed by "Skip...skip...skip". But with Cold Roses, it's not so much that there are outright skippers. Maybe a few. The real failure is it could have been Ryan's finest LP by some distance, were it not for a few good but not great tracks that seem tacked on. But such is Ryan Adams, a man whose always been guilty of overstuffing his LPs. Incidentally, I'm surprised it took him this long to release a double album. So here's what should have happened: The album should have been stripped of the "eh, why not" tracks and compressed into one LP (which could have been done anyway). "Magnolia Mountain" -- A no-brainer, maybe the best track Ryan released in 2005. "Sweet Illusions" -- Another keeper, and I'm proud to say I heard this live in Atlanta in 2004 the first time it was ever played. "Meadowlake Street" -- Another beauty that deserves its spot. "When Will You Come Back Home" -- While it isn't the most original thing he's done, it nicely re-centers the album after the cathartic coda of "Meadowlake Street". "Now That You're Gone" -- The album's first true ballad, it stays. Also played at that Atlanta show. "Cherry Lane" -- This might be a sentimental pick, but I'd hang on to it. It's a nice upbeat turn after the sorrowful "Now That You're Gone". "Mockingbird" -- Ryan's Greatful Dead worship shines bright on this one, but it's worth hanging on to nonetheless. "How Do You Keep Love Alive" -- This pains me -- but I'd lose it. I don't know if there will be another song over the course of this entire feature that'll be harder to dismiss. Whether it's the song's production or Ryan's singing style, it just seems stylistically removed from the rest of the wheelhouse tracks. It definitely deserves a prominent spot on an album; I just don't know if it's Cold Roses. "Easy Plateau" -- In a lot of ways, this song embodies the Cold Roses sound to me. "Let It Ride" -- A perfect single, and perfectly placed on the album. "Rosebud" -- Gone. It's a tribute to Jerry Garcia's guitar...and even if it wasn't, it's the most skip-worthy song on Cold Roses. 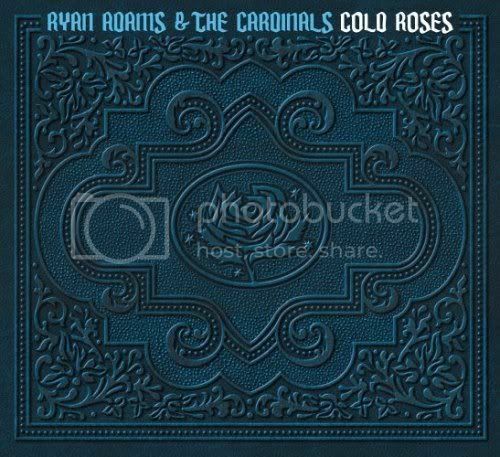 "Cold Roses" -- As the title track, it's got to stay, right? I might shake its order up, maybe throw it between "Mockingbird" and "Easy Plateau", since those Deadish jams might run together a bit without some boisterous relief. "If I Am a Stranger" -- Maybe the least Dead-inspired track, but it's a single-worthy track that's worth hanging on to. "Dance All Night" -- As a song I love it, but I'd lose "Dance All Night" for the following reasons: It was written several years before Cold Roses was released and it's almost identical to "Angelena", an Adams relic from the unreleased 48 Hours. While neither of these reasons disqualify the song, I still feel like it's inessential to the album. "Blossom" -- A warm little song that feeds nicely into "Life Is Beautiful", but it's not a great achievement in songwriting, and definitely one of the weaker tracks. Lose it. "Life Is Beautiful" -- When I first heard Cold Roses, this was one of my favorite tracks. But like "Beautiful Sorta", it almost seems alien to the Cold Roses aesthetic. I think "If I Am a Stranger" would be a better penultimate track. "Friends" -- I'm not sure there could have been a more perfect ending to Cold Roses. It's an update of the unreleased "For Beth", and it'll remind you of that summer sunset that stretches across the liner notes. "When Will You Come Back Home"
"If I Am a Stranger"
Downsizing Cold Roses proved much more difficult than the first two albums in this series. Besides "Rosebud", there were fewer blatant outliers, and I could almost hear the scoffs with each track I dismissed. Sure, I believe my amended tracklist might have initially made for a better overall record, but at this point I wouldn't want to hear it without the likes of "How Do you Keep Love Alive" and "Life Is Beautiful". That's why hypothetical situations are a wonderful thing--no consequences! Still, that's the difference between Ryan Adams and some of the other artists in question. Their misses are just that, while his throwaway tracks could be scraped together to form a satisfying LP.